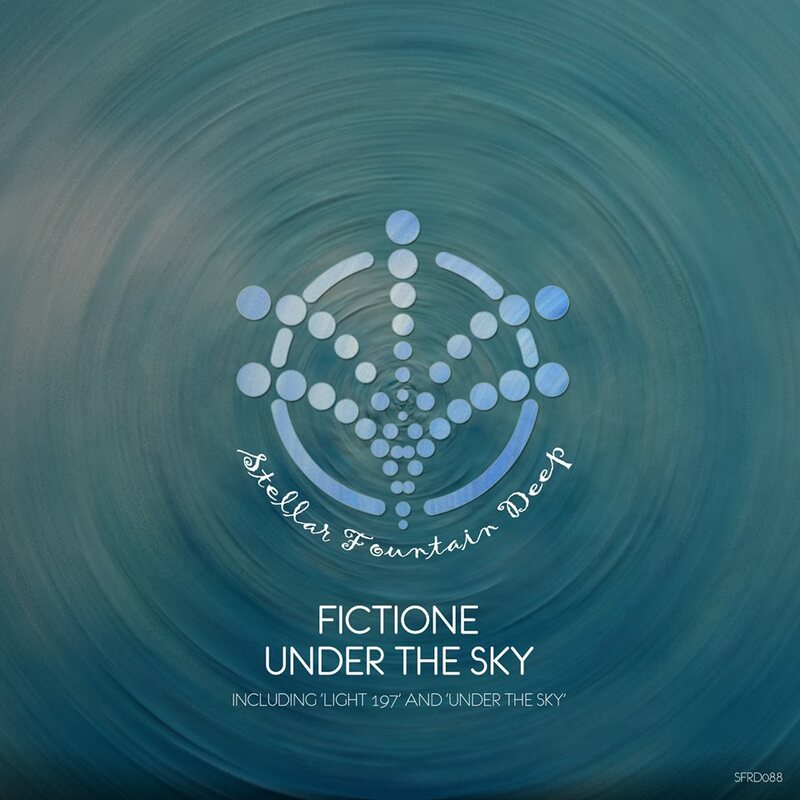 FictiOne makes his debut on Stellar Fountain’s Deep division with a brand new two track EP entitled ‘Under The Sky’. Piotr Stechnij aka FictiOne has appeared once on Stellar Fountain’s primary imprint with a remix of Lost Chord’s ‘Feelings’ from January of 2014. More recently the Polish artist has had several releases on Balkan Connection’s BC2 division and also has six appearances on Tuxedo’s Electronic Tree. Primarily known for his nostalgic take on progressive house sometimes you do see FictiOne venture into deeper or more techno inspired territory, as evidenced by his recent EP for Frequency Speaks. The lead track here ‘Light 197’ comes in more techno oriented with a big beefed up groove, loopy electronics and distinctive vocal stabs. This sounds tailor made for a big room, just the groove takes up immense space and the moody tones which eventually surface should make for some very thought provoking moments, particularly during the main break. A more emotive sense comes over the track during the third act with warm bass swells delivering some nice melodious content. The companion piece and also the EP’s title track ‘Under The Sky’ comes in with a similar vibe. It has the loopy feel of techno but with one foot in the progressive arena as well. Much like the former the magic lies in the mountainous waves of bass but also in some very unique sounding electronics. It’s the emotive chord changes coupled with a bleepy lead that makes for many magic moments, not the least of which is a timely break which delivers just enough drama to make the third act all the more impactful. A unique sounding track from FictiOne and a very cool EP all around. Great signing from Stellar Fountain Deep. Don’t miss it.